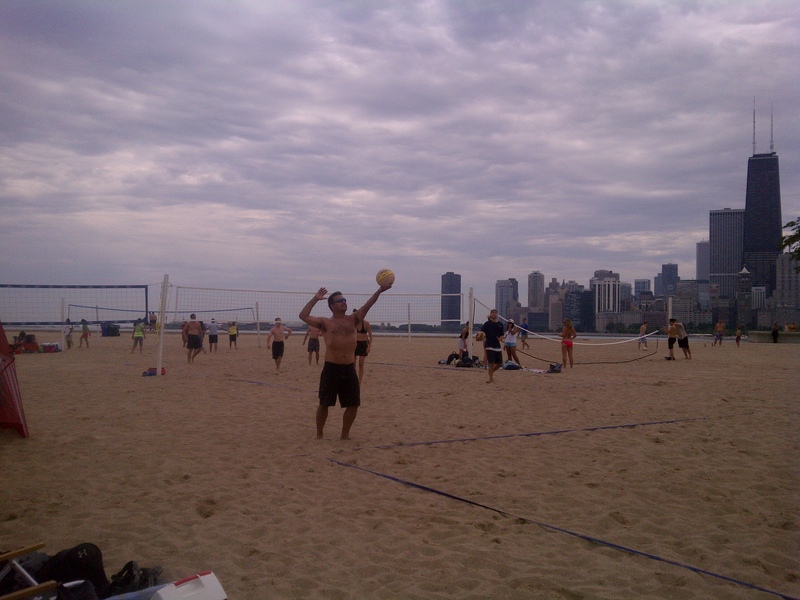 We went out to the lake for some volleyball, and although it was overcast, it was a beautiful day. You would think that on an overcast day you wouldn’t have to worry so much about sun protection. Actually, the worst sun burns occur on overcast days. This is because we tend to skimp out on sun protection and stay out longer when we don’t see the sun. However, the sun’s powerful UVB and UVA rays still penetrate through the thin cloud cover to affect us. Sun protection is always a must. So what’s the difference between sunscreen and sunblock? Sunscreens absorb the sun’s UV rays before they reach your skin, which is great, but our skin absorbs the chemicals in the sunscreen, and who knows what long-term effects those chemicals will have on us. These chemical sunscreens also stop working after a few hours. Sunblocks do not absorb the sun’s radiation, but rather reflect and scatter the sun’s rays. Sunblocks are long-lasting, remaining on your skin until you wash it off or sweat it off. Zinc Oxide is the most common mineral used in sun blocks today. You can purchase it in any pharmacy, and it’s great for your skin. It soothes and nourishes. The only downfall for zinc oxide is that it leaves a layer of white on your skin. Have you ever seen a life guards nose while on duty? That’s zinc oxide. So add some zinc oxide to your favorite moisturizer or look for a sunblock that has zinc oxide as its main ingredient along with natural ingredients, including vitamins, minerals, and antioxidants. And don’t let the cloud cover fool you. The sun’s rays are still out there, ready to wreak havoc on your skin. Protect your skin… And get some sun, it’s good for you! Cool! Sun is a great way to get all the needed vitamin D. I try to get 20-30 of sun exposure everyday and about 1hr of sun exposure for my kids since they have darker skin than I.